Childhood cancer has a profound impact on parents and family relationships. After their child’s diagnosis, parents commonly require support from their extended family members including their own parents and siblings. Limited research has assessed how parents draw upon their extended families for support after diagnosis. Importantly, support–or lack of support–offered by extended family members may change family relationships. We aimed to assess how parents, after their child’s diagnosis: perceive the support they received from their extended family; and describe changes to relationships with extended family members. We interviewed 35 parents of childhood cancer survivors (n = 32 female, 91.4%). On average, children had successfully completed their cancer treatment 1.52 years (SD= 1.23 years) prior to their parents’ participation in our study (range = 0.17–6.33 years). Thematic analysis of the data revealed five themes: extended family members as sources of support; hurt, anger and resentment; empathy for extended family members; insulating the nuclear family; and relationships after treatment. Extended family members can provide valuable support to parents of a child with cancer. At the same time, families can be a source of anger and frustration for parents, potentially damaging relationships into the future. Parents and their extended family members may have different ideas or expectations regarding the kind of support which is helpful during a child’s cancer treatment. Interventions and resources which educate extended family members may assist in bridging the gap between the support parents need, and what they receive, when their child is diagnosed with cancer. The authors would like to thank all the parents who participated in this study. We would like to acknowledge the support of the Cascade working party: Dr. Antoinette Anazodo, Dr. Belinda Barton, Dr. Luciano Dallo-Pozza, Dr. Peter Downie, Prof. Afaf Girgis, Dr. Martha Grootenhuis, A/Prof. Madeleine King, Ms. Cherie Lowe, Dr. Michael Osborn, Dr. Pandora Patterson, and Prof. Rosalie Viney. We would also like to thank Dr Nicole Schneider, Emma Doolan, Sarah Ellis, Kate Marshall, Sanaa Mathur, Eden Robertson, and Helen Wilson for their contributions to this study. The Cascade project is funded by Cancer Australia (APP1065428) and endorsed by The Australian and New Zealand Children’s Haematology/Oncology Group. Prof. Wakefield is supported by the National Health and Medical Research Council of Australia (APP1143797) and the Cancer Institute of NSW (ID: 11/ECF/3-43). Dr Sansom-Daly is supported by Early Career Fellowships from the Cancer Institute of NSW (ID: 14/ECF/1-11) and from the National Health and Medical Research Council of Australia (APP1111800). The Behavioural Sciences Unit is proudly supported by the Kids with Cancer Foundation, by the Kids Cancer Alliance, as well as a Cancer Council New South Wales Program Grant (PG16-02) with the support of the Estate of the Late Harry McPaul. L.K. led the data analyses, wrote the paper and collaborated with the design of the study. C.E.W. collaborated with the design and writing of the study. L.C. assisted with the data analyses and writing of the study. K.H., B.C.M., M.C.M., G.M. and R.J.C. collaborated in the writing and editing of the final manuscript. U.M.S. collaborated with the design and writing of the study. All procedures performed in studies involving human participants were in accordance with the ethical standards of the institutional and/or national research committee and with the 1964 Helsinki declaration and its later amendments or comparable ethical standards and were approved by the Australian Psychology Society. The study was approved by the Sydney Children’s Hospital Network ethics committee. Kelada, L., Wakefield, C., Doolan, E., Drew, D., Wiener, L., Michel, G., & Cohn, R. (2018). 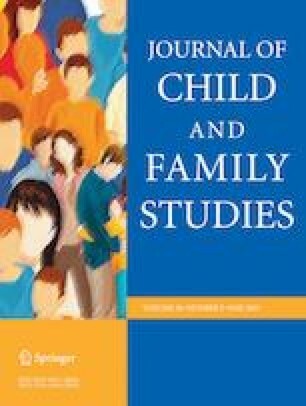 Grandparents of children with cancer: a controlled comparison of perceived family functioning. Supportive Care in Cancer, 1–8. https://doi.org/10.1007/s00520-018-4468-7.